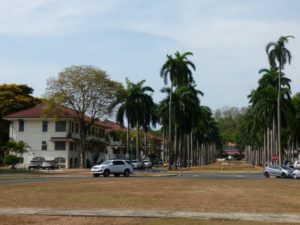 This page has some brief descriptions of what you can see around Panama City, with links to further information here or to other websites. 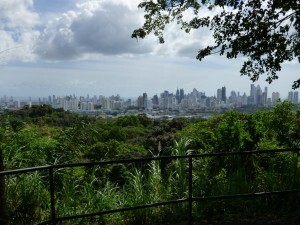 Although it is no longer possible to drive up Ancon Hill, you can walk up the road or climb the trail for a magnificent view of the city and possible animal sightings. 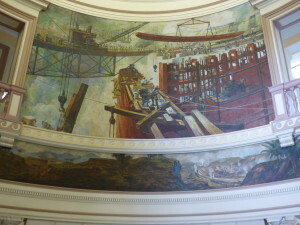 Large visitor centre, museum, and terrace where you can watch the ships. Get there on the HOHO, in a taxi, or on the local bus. 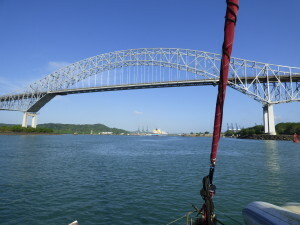 Refer to our website section all about this area, or go the Casco Viejo website. 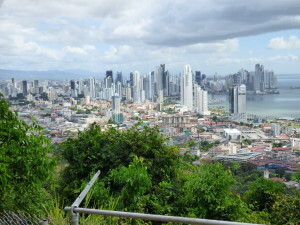 The original site of Panama City from 1519. 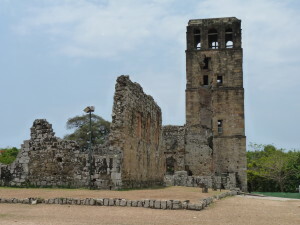 A few old ruins with limited information available. The museum is quite good, but otherwise a drive-by on the HOHO is almost enough. 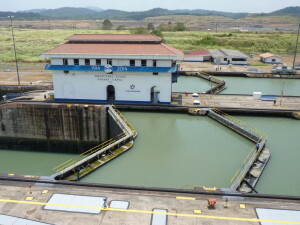 The Panama Canal Zone was an unincorporated territory of the United States from 1903 to 1979. 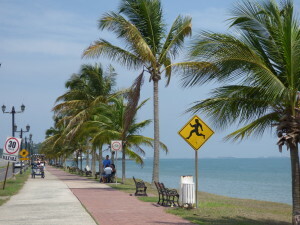 Balboa was an important town at the Pacific end of the Canal, housing the administrative centre. 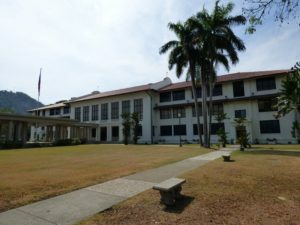 A little-known collection of photographs and memorabilia from the canal construction days is contained within the old Balboa High School. 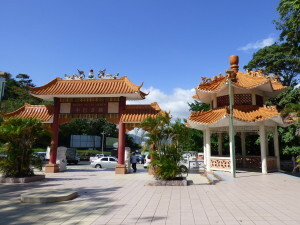 On the west side of the Bridge of the Americas, a monument dedicated to the Chinese community which has resided in Panama for more than 150 years. Small souvenir market close to Ancon Hill. Most of the stands are owned by Kuna women, who are often sewing molas as they wait for customers. 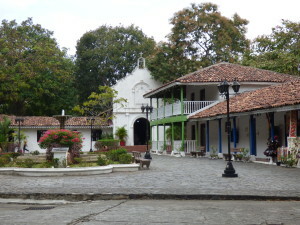 Mock village depicting three Panamanian cultures: Afro-Caribbean, the interior region, and indigenous groups. 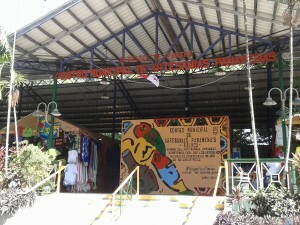 The Mercado del Marisco was donated by the Japanese government. 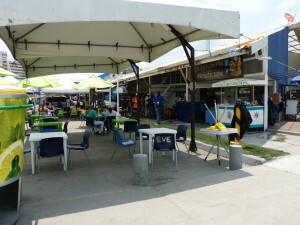 There are impressive market displays of local fish and seafood, and restaurants and ceviche stalls all around. 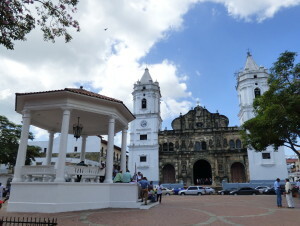 It is located close to Casco Antiguo. 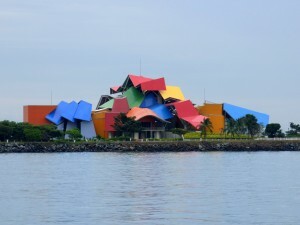 The largest mall in Central America, it claims anywhere up to 700 shops. Easy to get to as it is the central bus and train terminal for the city and beyond. 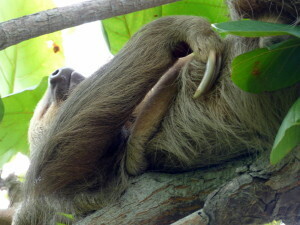 The website is in Spanish but Google translate fixes that. 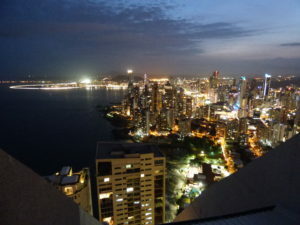 Panaviera is located on the 66th floor of the Sun Casino and offers stunning city and ocean views. 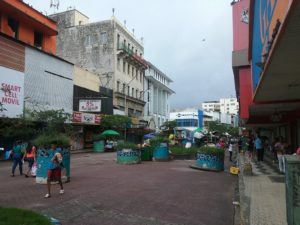 Mingle with the locals on the pedestrian street of Avenida Central, that leads into Casco Antiguo.